I like the Lay's ketchup flavor, only in Canada I believe, as sweet and stomach turning as they sound, they are pretty damn good when you are drunk. Shaggywillis wrote: I like the Lay's ketchup flavor, only in Canada I believe, as sweet and stomach turning as they sound, they are pretty damn good when you are drunk. Next time you're in Canada, pick up a bag of "all dressed" chips, too. A mish-mash of dill pickle, salt and vinegar, barbecue, ketchup, sour cream and onion, and whatever else they feel like throwing in. I did once have a serious addiction to Jalapeno Krunchers, though. Ed, in Montréal the term "all dressed" means pretty much that, but it's used specifically in restos where the pizza or sandwich or lahmajoun guy has a window full of stuff--lettuce, olives, peppers, etc.--ready to hand. So you tell him, "all dressed" and he grabs one each of everything and puts it on the pizza or sandwich or lahmajoun. You wouldn't believe some of the combinations my students at Concordia enjoy... whoooey! The "all dressed" chips are basically kind of weird. And too sweet. But, as Shaggywillis suggests, mebbe whilst drunk. Light, airy, crunchy, in a Styrofoam sort of way common to packaged shrimp chips and commercial pork rinds. Surprisingly neutral flavor, hint of shrimp with an end note of cream. Fun to try, though I don't see myself buying another package even for .99 cents. G Wiv wrote: Fun to try, though I don't see myself buying another package even for .99 cents. There's a reason they call them cheap thrills! G Wiv wrote: Light, airy, crunchy, in a Styrofoam sort of way common to packaged shrimp chips and commercial pork rinds. Surprisingly neutral flavor, hint of shrimp with an end note of cream. Fun to try, though I don't see myself buying another package even for .99 cents. 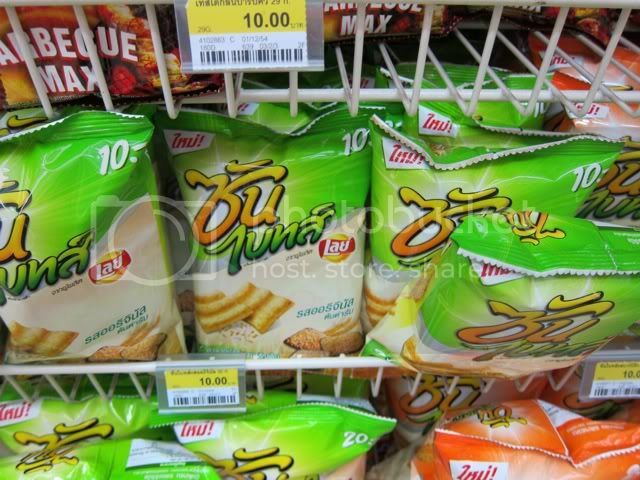 The classic/original flavor rather than sour cream and onion, but shrimp chips were my junk food of choice circa age 5. I ate them the way I think a lot of kids these days eat Cheetos...or Cheerios. 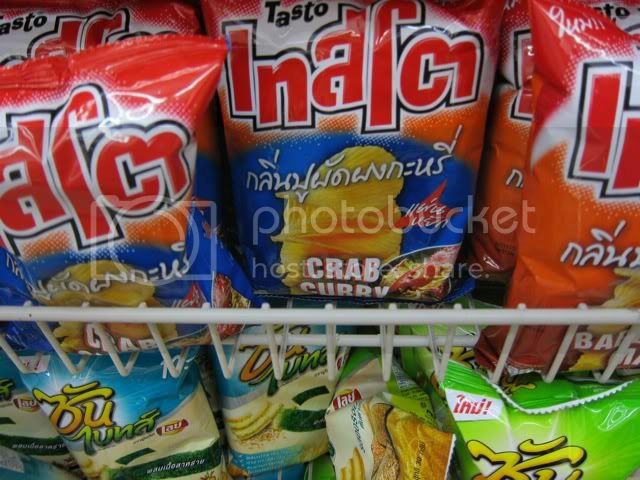 I ate both the more traditionally chip-shaped shrimp snacks like the ones from Fresh Farms, but more often I had the Calbee french fry-shaped Shrimp Flavored Chips. I can't say that even nostalgia would get me to buy a bag of either version today. Snyders of Hanover, which owns Jay's, is buying Utz. 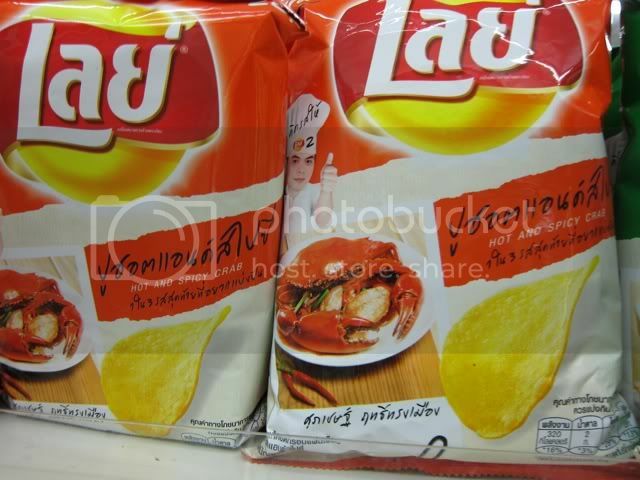 I am praying this means we'll get crab chips in Chicago. Snyder's of Hanover Inc. and Utz Quality Foods Inc. said today the companies are not moving forward with a merger. "We didn't see the wisdom of continuing a protracted exercise that we didn't think was wise," Utz Chairman and Chief Executive Officer Michael Rice told the Business Journal. It was Utz's decision to back away from the deal, Rice said. The major issues were that the Federal Trade Commission had made a second request for information, which the company felt was going to take too much time and money to complete, he said. I know there's a bother thread about this, but I can't find it. 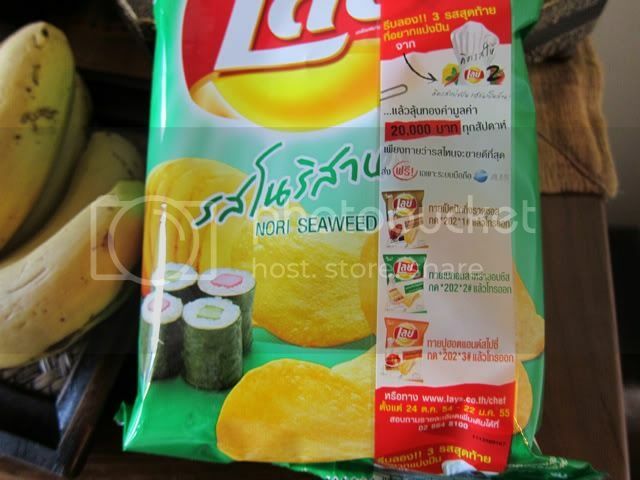 I found lots of interesting potato chip flavors during my recent trip to Thailand. The Peking duck were surprising good--they DID actually taste like Peking duck in a way with the hoisin sauce and star anise flavors especially prominent. The spicy squid were fine but didn't really taste like squid. I never made it around to trying any of the crab varieties (spicy crab, crab curry). I'll take some spicy crab! I love chips-I wish we could get those favors here. jvalentino wrote: I'll take some spicy crab! I love chips-I wish we could get those favors here. Route 11 Potato Chips in Mt. Jackson, VA makes some very tasty Chesapeake Crab-flavored chips (their other flavors are very good, too). A favorite work associate who's based near there sends us a huge bag every year around holiday time. And yes, you can order them over the internet by following the link above. Similar to the Route 11 ones are Utz Crab Chips. n.b. in both cases they're just old bay flavored chips. Delicious, though. On the way. I've seen both brands in stores but never the crab flavor. Thanks for the heads up guys! If you are looking for HERR'S potato chips, they generally can be found at BIG LOTS. Personally, my favorite potato chips are Mikesell's Potato Chips out of Dayton, OH which are cooked in peanut oil. About the only place that they can be found locally, on occasion, is at the Hilander (formerly Kroger's, now Schnuck's) stores in the Rockford area. A friend emailed me this morning from Ulaanbaatar, Mongolia. She writes: "I do not recommend Grilled Meat flavored Lays potato chips." Too funny. though for me, just the thought of "Mackie's Haggis & Cracked Black Pepper Flavor Potato Crisps" sounds positively revolting. *Part of this sentence contains sarcasm. Mackies chips are pretty spectacular. It's a haggis spice flavor so it's more of a smoky/peppery flavor. Their salt and vinegar is the best I've ever had. If it wasn't for the expense I'd order them all the time. Never ate a haggis I didn't like. Of course that was always in Scotland. For brekkers. With a fried egg or two. And some taters. What's not to like?? ronnie_suburban wrote: A friend emailed me this morning from Ulaanbaatar, Mongolia. 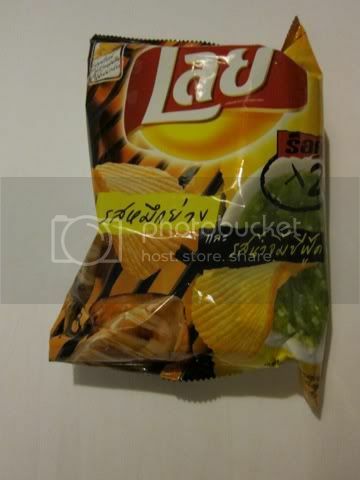 She writes: "I do not recommend Grilled Meat flavored Lays potato chips." Too funny. That is really funny because your friend may may be right about grilled meat flavored chips specifically, but there are plenty of great meat flavored chips out there in my opinion. I take it that's your site? 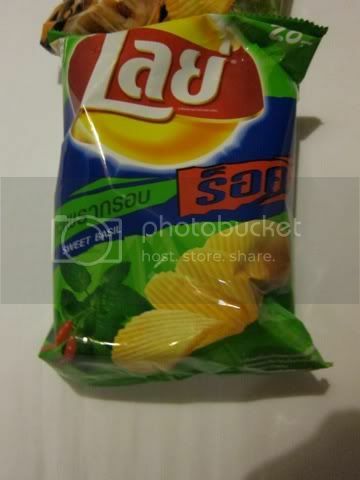 Has anyone tried the beer flavored chips Aldi is selling right now? (Clancy brand, iirc, spotted them in the store yesterday). Beer-flavored chips?!? What's next, alcohol made from potatoes? That is really funny because your friend may be right about grilled meat flavored chips specifically, but there are plenty of great meat flavored chips out there in my opinion. Yep, guilty. Chip enthusiast for many years! duthow wrote: Yep, guilty. Chip enthusiast for many years! jlawrence01 wrote: If you are looking for HERR'S potato chips, they generally can be found at BIG LOTS. There is also a BP on Lincoln and Devon ish that sells Herr's. They also do a decent falafel. I have a favorite regional chip from Detroit called Ray's. I like the packaging with the homey story. I have yet to read them all. A chip from Rockford is Ole Salty's, which I only find at Woodman's. On Chowhound, there was a guy who traveled quite a bit who pronounced them the best chips in the country. While they may be made regionally, I almost never see them in local stores. The snack aisle in small markets is where there is still regional chip producers. When I am on the road, then it is a magnet when I want really locally produced food. 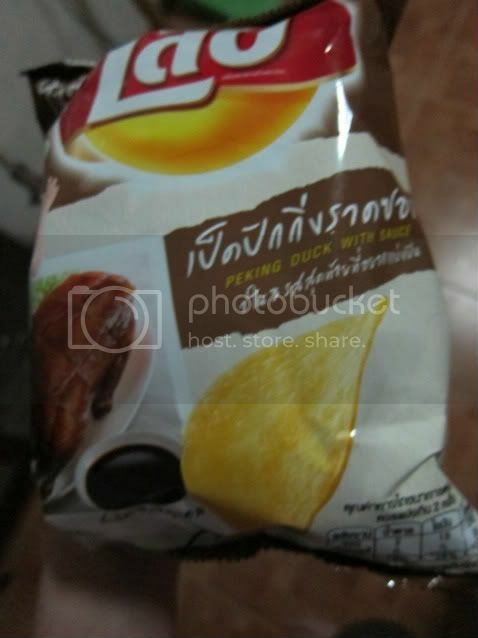 Louisa Chu years ago brought some roast chicken flavored chips from Japan. Those were heavenly to eat. I bought some Herr's chips recently at an auto plaza near Kankakee and they had a weird, off aftertaste. I doubt I'll be buying them again. I have been going to Ole Salty's for > 20 years. They were owned by a low key couple early on and then their Daughter and Son-in-Law took over. Today it is owned by a more aggressive guy, but they would have to expand to hit all of the markets. He is more aggressive in that he has opened an outlet store, came to an agreement with Woodman's, and has added flavors (good flavors). I stop each time I am in the Rockford area. Load up. Some of the best.